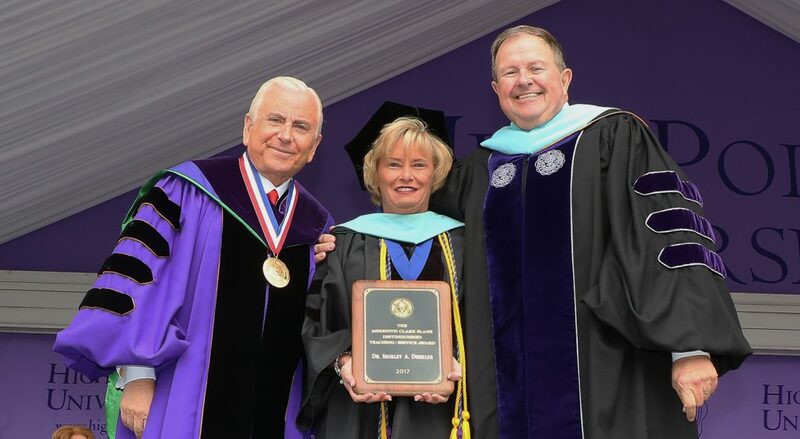 CONGRATULATIONS to our very own Mrs. Rosie Monahan Tarara who was recognized by Dr. Joe Blosser, Robert G. Culp Jr. Director of Service Learning, as the HPU Service Learning Professor of the Year for all she has done with her service learning classes. We are extremely proud of her hard work and dedication to her students and in making the community surrounding HPU better with her many projects! 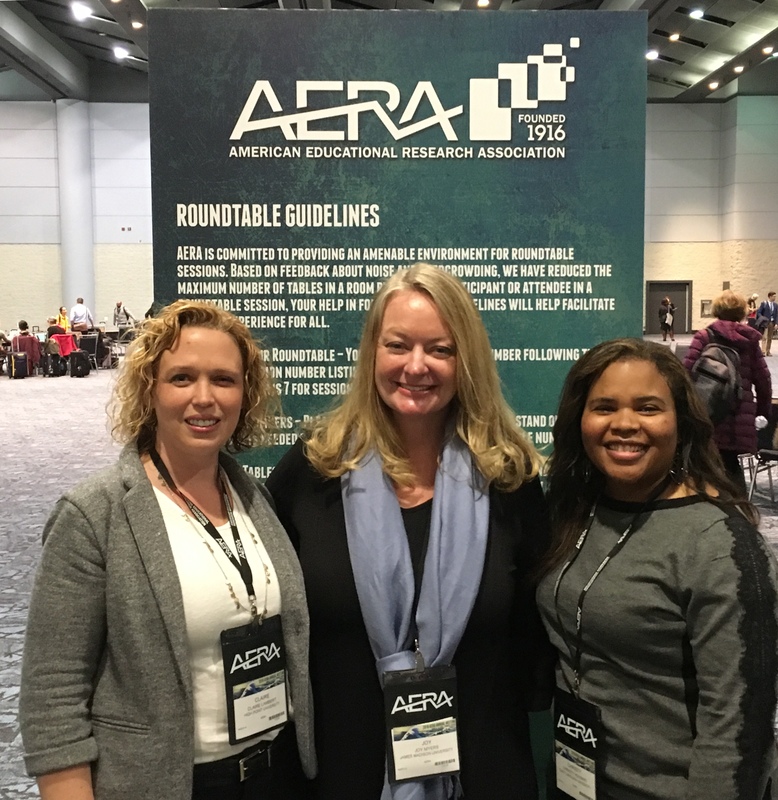 April 2019 – Dr. Claire Lambert, Assistant Professor of Elementary and Middle Grades Education, presented her work this week at the American Educational Research Association (AERA) Annual Meeting in Toronto. In collaboration with colleagues from East Carolina University, James Madison University, and West Chester University, Dr. Lambert conducted a qualitative case study comparing teacher educators’ and teacher candidates’ perceptions of new teachers’ readiness to teach literacy. Findings from the completed study were recently published in The Excellence in Education Journal, available at http://www.excellenceineducationjournal.org/uploads/EEJ_Winter_2019a.pdf (p. 5-37). Congratulations, Dr. Lambert! November 16, 2018 – Dr. Barbara Zwadyk joined project directors of the principal preparation programs funded by the state to present their paper, “Coaching Models in Innovative Leadership Preparation Programs” at the 2018 University Council for Educational Administration (UCEA) Convention held in Houston, Texas. September 2018 – During the month of September, Dr. Bingham will be facilitating sessions for Distinguished Leadership in Practice at the North Carolina Center for School Leadership Development in Chapel Hill, September 5-6. He will also be facilitating sessions for Future Ready Leadership at North Carolina School Board Association in Raleigh, September 13 and in Chapel Hill on September 19. Distinguished Leadership in Practice and Future Ready Leadership are programs of professional learning sponsored by North Carolina Principals and Assistant Principals Association. Delivered in a blended-learning format, including six face-to-face seminars across the academic year, DLP has developed nearly 3,000 North Carolina principals since 2011. Having matriculated approximately the same number of assistant principals since 2012, FRL is also delivered in six spaced-sessions, with additional assignments completed in the interim. Grounded in the North Carolina Standards for School Executives, both programs promote job-embedded learning, coincidental with what high-performing school leaders do across the year to advance student learning and continuous improvement of teaching practice. Dr. Bingham was an original program designer and continues to present and advise in DLP and FRL development and delivery. August 5, 2018 – Dr. Zwadyk, joined by Chris Burnette and Emily Rycroft, both graduates of the HPU Leadership Academy and current assistant principals, presented at the International Council of Professors of Educational Leaders (ICPEL) conference in Charlotte, NC. Their presentation, “District and University Partnerships: Growing the Next Generation of Leaders for High-Needs Schools” provided an overview of how the Academy prepares individuals to lead high needs schools to ensure every student has a quality education. July 2018 – Professor Steven Bingham, Stout School of Education, has edited and contributed a chapter to Research-Based Practices of Effective Principals. With co-editors, Paula Egelson and Karen Sanzo, Southern Regional Board of Education and Old Dominion University, respectively, the book was published by Information Age Publishing. Extant literature on evidence-based instructional strategies mediated by elementary and secondary school leaders is surprisingly scant. Seeking to fill the gap, Bingham, Egelson, and Sanzo have curated the research and craft knowledge of eminent and emergent practitioner scholars who collectively provide a starting place for aspiring and practicing principals. Each author builds on research-based instructional practice in schools and districts in which they have worked, either as principals or as school-university or service-provider partners. They provide examples, action plans, frameworks, lessons learned, and strategies to successfully develop and implement research-based instruction and supporting structures in schools and classrooms. Dr. Barbara Zwadyk presented with four other university faculty at the UCEA Conference in Denver on November 16. The presentation focused on the alternative principal program, the High Point University Leadership Academy that is supported by the competitive funding provided by the state of N.C. as a catalyst for innovation and strong preparation for leaders of high-needs schools. 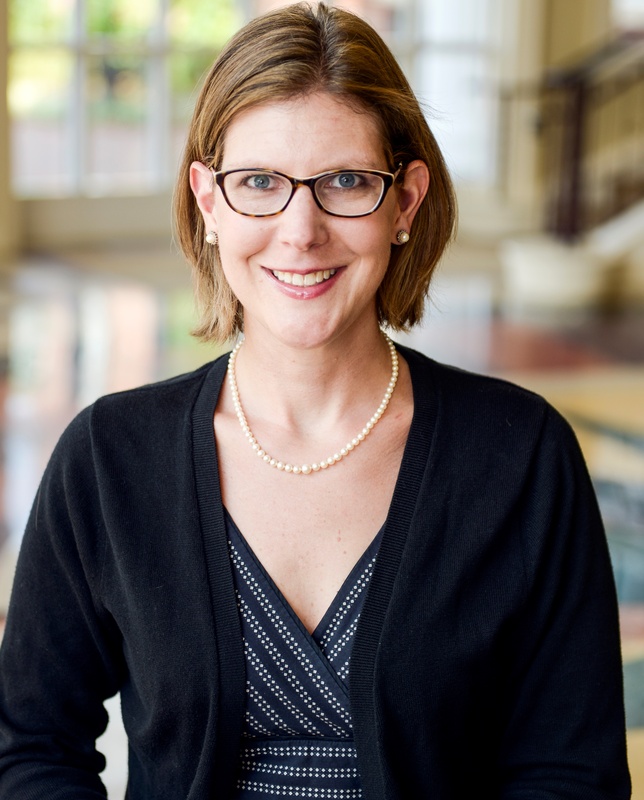 High Point University Stout School of Education Associate Professor Dr. Tawannah Allen along with four other individuals will serve on the Greensboro News & Record’s Forum to explore promise and concerns of Charter Schools. The N&O and ABC 11 will host a public discussion of the series and charter schools in general at our next Community Voices forum: “Charter schools in North Carolina: How are they working and where are they going?” To register for the free event to be held at 7 p.m. Monday, Oct. 30, at the North Carolina Museum of History in Raleigh, go to: eventbrite.com. To read the entire article recently published by the Greensboro News & Record, please click here. August 2017 – Barbara J. Mallory, Ed.D., and Barbara Zwadyk, Ed.D., both associate professors in the educational leadership doctoral program, presented findings from their study, Selecting Top-of-the-Class Candidates for an Alternative Principal Preparation Program, at the 71st Annual Summer Conference of the National Council of Professors of Educational Administration (NCPEA), in San Juan, Puerto Rico, on August 3, 2017. 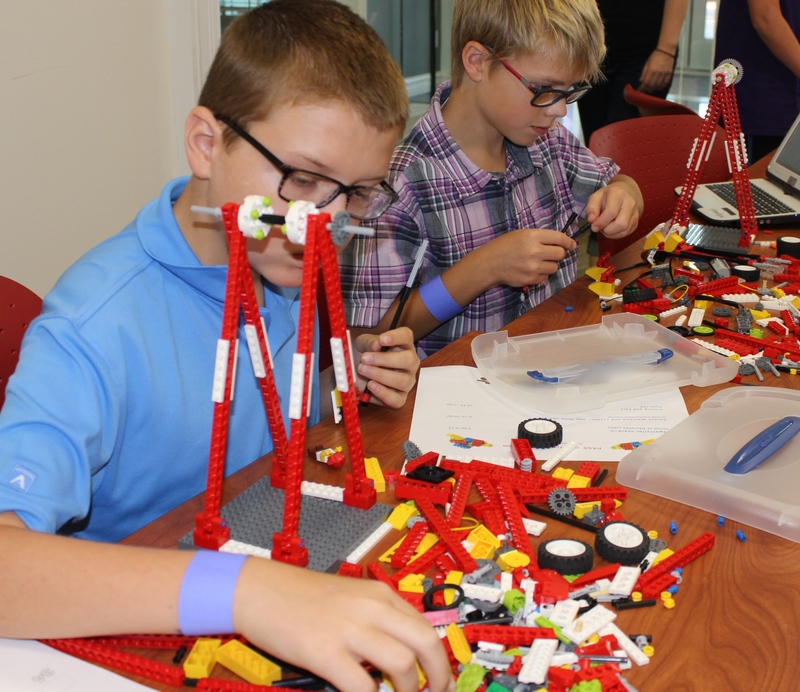 August 2017 – Dr. Shirley Disseler and 2015 STEM Graduate, Gabriel Mirand, link LEGO Robotics in a study that shows the impact of using LEGO to grow content in science. The article, “Students with Disabilities and LEGO© Education: An Inquiry-Based Approach to Improve Growth in Mild and Moderate Disabilities”, investigates the use of LEGO Mindstorms EV3 Robotics with a unit on force and motion in a resource classroom. The article has been accepted for publication by the American Research Institute and will be in print in September. May 6, 2017 – Dr. Shirley Disseler, associate professor of education at High Point University, received the Meredith Clark Slane Distinguished Teaching-Service Award during the 2017 Commencement ceremony. The award is named for Meredith Clark Slane, a friend to the university, and has been given annually since 1973 to recognize excellence in teaching. 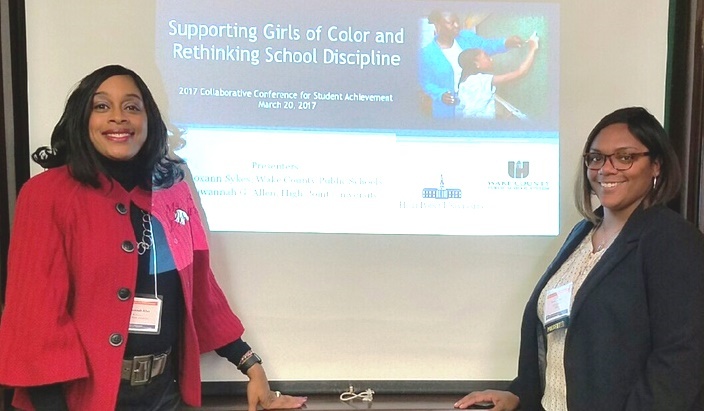 March, 20, 2017 – Dr. Tawannah G. Allen, Stout School of Education Associate Professor, and Ms. Roxann Sykes, doctoral student in Cohort V, presented their latest research “Supporting Girls of Color and Rethinking School Discipline,” at the 2017 Collaborative Conference for Student Achievement (CCSA) conference at the Koury Convention Center in Greensboro, NC. Their session provided national, state, and local data on suspension rates for girls of color, offered strategies on how to identify/understand trauma; and provided participants with concrete alternatives to suspension. Dr. Allen and Ms. Sykes will conduct this presentation during the April 22nd Doctoral Workshop. January 2017 – Dr. Tess Hegedus had a book review published in Pedagogies: An International Journal. Hegedus reviewed the Interplay of Creativity and Giftedness in Science, edited by Melissa K. Demetrikopoulos and John L. Pecore. This informative book emphasizes the critical need for educators to attend to the dynamic interaction of creativity and science in educational contexts. As a STEM-focused teacher educator, certified gifted specialist, and former middle school science teacher, Hegedus reports that opportunities to cultivate creativity and innovative practices in our students should be at the forefront of our teaching given the dynamic, competitive, technologically-driven society we live in today. Dr. Disseler, Associate Professor and Chair of Elementary and Middle Grades, and Dr. Allen, Professor of Educational Leadership, co-authored a study using an online gaming system known as Lost Function to prepare pre-service teachers for the North Carolina State Licensure test in Mathematics. The study is being published in the International Journal of Strategic Information Technology and Applications, Volume 7, Issue 3. This study shows positive correlations between using online gaming modules to prepare and successful passing rates on the state licensure test. 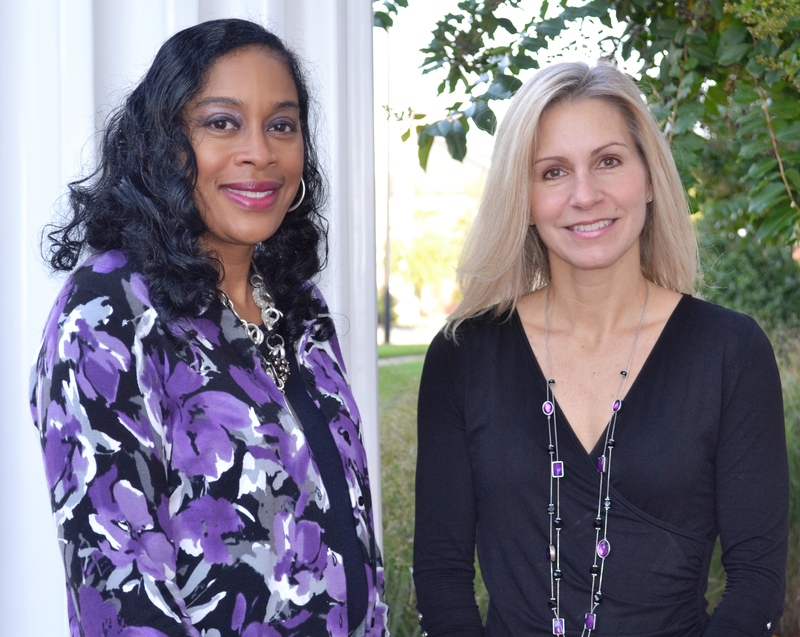 November 2016 – Barbara J. Mallory, Ed.D., Associate Professor in Educational Leadership, along with co-authors Megan M. Buning, Ph.D., Teri Melton, Ed.D., and Cindi Chance, Ph.D., had their manuscript, “An Exploratory Examination of GLOBE Leadership Constructs in Education,” accepted for publication in the juried Journal of Scholastic Inquiry. Their manuscript reported findings from their study to determine teacher perceptions of “ideal principals.” The study was designed specifically to identify how teachers view principal leadership “as is” and “as it should be” to determine how the Global Leadership and Organizational Behavior Effectiveness (GLOBE) instrument performs in the educational leadership discipline. 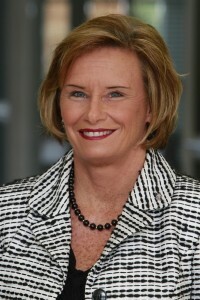 November 2016 – Barbara J. Mallory, Ed.D., is a founding leader of the Carnegie Project on the Education Doctorate (CPED) Improvement Group (CIG) on Improvement Science. Along with co-CIG organizers Betsy Kean (CPED) and Susan Printy (Michigan State University), Dr. Mallory designed a study to identify the current status of improvement science and/or design-based improvement in CPED member institutions in order for the CIG to work on challenges of implementation in order to create models for ways improvement science can be integrated into EdD Programs. The CIG met at the CPED Convening in Augusta, Georgia, to discuss results of the study and make plans for next steps for the CIG. November 2016 – Dr. Allison Blosser, Assistant Professor in the School of Education, co-authored an article that was just published in Advances in School Mental Health Promotion, a national peer-reviewed journal. The article, “Stable roles, changed skills: teacher candidate responses to instruction about adolescent psychosocial support practices,” investigates the impact of a six-week module in a master’s level teacher education course that was designed to prepare teacher candidates to recognize and respond to students who are experiencing psychosocial issues in the classroom. The study also measured the impact of the module on teacher candidates’ preferences for working with students experiencing psychosocial distress. Findings indicate that while teacher candidates’ preferences for working with students experiencing psychosocial distress did not change, their knowledge and skills in some areas related to student psychosocial issues did. The implications of the study’s findings for teacher education and school-based mental health practice are discussed. November 2016 – Barbara J. Mallory, Ed..D., Associate Professor in the Department of Leadership Studies was elected 2016-17 President of the North Carolina Professors of Educational Leadership (NCPEL). The major focus of NCPEL’s work this year is to collaborate with professors across the state to mobilize leadership in educational leadership policy development. One task force is developing a state survey designed to assess NC school administrators’ perceptions of their principal training and development. Since the redesign of the state’s principal preparation programs, many success stories have been shared about the impact of university-based master’s degree programs in North Carolina. October 2016 – For the second year, Dr. Rick Overstreet, coordinator of physical education activity courses in the School of Education, hosted the TOPSoccer program. Dr. Overstreet started the program last year and says that it has grown significantly in its second year. October 2016 – School of Education professors Drs. Tess Hegedus, Tawannah Allen as well as Biology professor, Veronica Segarra, were recently published in the October 2016 edition of The Science Teacher, a National Science Teacher Association (NSTA) publication. Their article, “Making the Art-Science Connection”, features work done in partnership with a local ninth grade honors biology teacher and her students. Be sure to check out the video that highlights this interdisciplinary, collaborative work and access the article which is featured for free here on the NSTA website. September 2016 – Dr. James Davis, Associate Professor and Program Coordinator in the School of Education was recently named and recognized as the new Co-Chair for the NC-ACTE Planning Committee. The NC-ACTE, North Carolina Association for Colleges and Teacher Educators sponsors two major conferences for the membership each year. 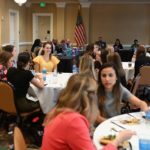 The Spring Teacher Education Forum is a symposium that focuses upon relevant topics in North Carolina teacher education and features prominent national and state speakers including personnel from the NC Department of Public Instruction. The Spring Conference is held in rotating locations across the state. The Annual Fall NC Teacher Education Conference held in Raleigh, is a two-day conference that focuses upon collaboration among the members. National and state speakers highlight the program that also features research presentations in concurrent sessions by members. Luncheons are highlighted by a presentation by the NC Teacher of the Year and a Representative from the NC Department of Public Instruction. Membership in the NC-ACTE includes the faculty within private and public institutions and public agencies across North Carolina that foster teacher education. Dr. Davis joined HPU in 2014. September 2016 – The Partners for the Advancement of Gifted Education (P.A.G.E.) for Winston Salem Forsyth and Guilford Counties co-sponsored an event hosted by HPU School of Education under the direction of Dr. Shirley Disseler and the School of Education STEM Team. The event featured a keynote address by Dr. Disseler entitled: “The Creativity Crisis and Gifted Education”. 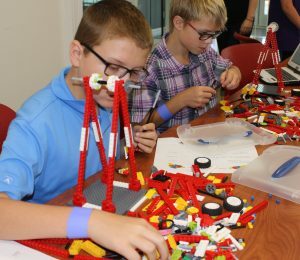 Students from the HPU STEM program presented activities from the school’s partner LEGO Education to promote design engineering, robotics, critical thinking, creativity, mathematics and scientific literacy. The first ever combined P.A.G.E. 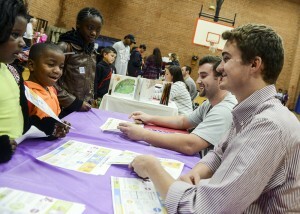 event brought out 187 parents and gifted students from the school systems. September 2016 – School of Education Doctoral Faculty member, Dr. Tawannah Allen and members of HPU’s Freshman Class have committed to making healthier food choices after discussing this year’s Common Read, “The American Way of Eating.” Here’s to healthier eating!! 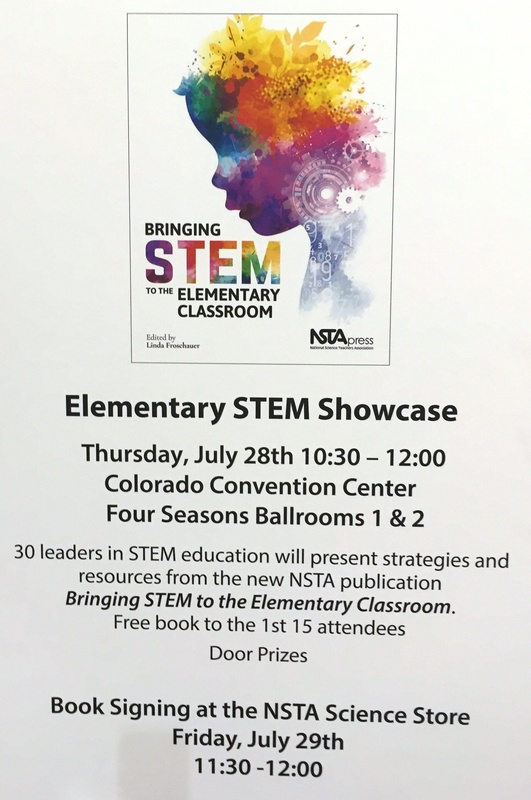 August 2016 – Tess Hegedus, Assistant Professor at High Point University, presented at the 2016 National Science Teachers Association (NSTA) STEM Forum in Denver, Colorado this summer. She presented her article written with co-author Heidi Carlone from the University of North Carolina at Greensboro titled,You and Your Students as Green Engineers, at the Elementary STEM Showcase. 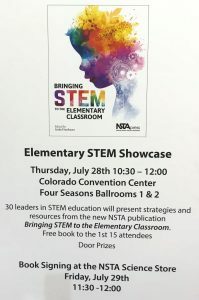 Their work was selected to be included as a chapter in the new Science and Children Compendia, Bringing STEM to the Elementary Classroom, a thirty-six-chapter source of classroom tested STEM investigations. August 2016 – Dr. Jane Bowser co-authored an article that was published in The Bridge, a peer reviewed journal published by the National Academy of Engineering that emphasizes linking engineering and society. The article, Leveraging Technology in the Coteaching Model for STEM Education showcases Dr. Bowser’s research interest in integrating technology into the classroom for engaging and supporting students in the learning process. In particular, the article focuses on the use of technology to support students with learning disabilities. Many of the tools highlighted in the article are taught as a part of the technology sequence taken by all candidates in the School of Education. 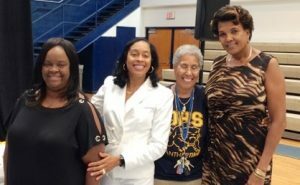 August 2016 – The Math Science Partnership grant awarded to the Thomasville City Schools and High Point University to develop a Teacher STEM Club has been funded for its third and final year. 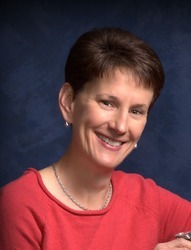 Dr. Jane Bowser is the Project Manager for the grant valued at nearly $150,000.00. The grant focuses on increasing content knowledge in science and math for elementary and middle grades teachers in Thomasville City Schools. As a part of the grant, TCS teachers participate in LEGO Teacher Academy training, special content and pedagogy sessions in STEM education, complete graduate STEM classes and attend the NASA Space Camp for Educators. August 2016 – Congratulations to School of Education’s Dr. James Davis, Associate Professor, on his selection to serve as the new Editor of the North Carolina Middle Level Education (NCMLE) Journal. NCMLE focuses on issues of academic excellence, developmental responsiveness, social equity, and organizational structures and processes. Dr. Davis was among 40+ candidates who were considered for the position by Executive Director, Cathy Tomon, and the NCMLE Executive Board. August 2016 – Dr. Allison Blosser, Assistant Professor in HPU’s School of Education, co-edited a special issue of the peer-reviewed journal, Forum for International Research in Education. The special issue focuses on “The Place and Future of Comparative Education in Teacher Education.” The editors’ overarching concern, as they argue in the introduction to the issue, is that many teacher education programs in the United States are not sufficiently preparing teachers “to educate their students with global competence in an interconnected, pluralistic society” (p. 1). The editors argue that now is the time to advocate for the inclusion of comparative and international education courses in both undergraduate and graduate teacher education programs. Their introduction, and the articles in the issue, highlight the many benefits that exposure to comparative and international education affords educators and ultimately, the students they teach. Click here for the link to the journal. July 2016 – School of Education professor, Dr. Shirley Disseler, traveled to Virginia to present her new Brick Math Series and work with teachers in VA on ways to use the LEGO brick in the classroom. Disseler served as Brick Expert in Residence at the 3 day teacher trading session. 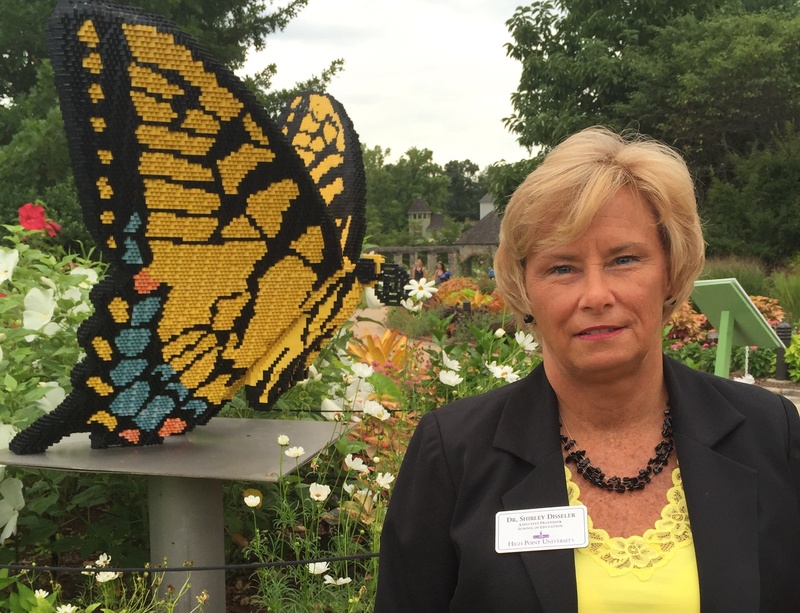 The training was part of the Botanical Garden’s Brick Arts Series that runs through September. July 2016 – Dr. James Davis and Dr. Jane Bowser have been selected to present at the Fall 2016 North Carolina Association for Colleges and Teacher Educators (NC-ACTE) Conference in Raleigh, NC. Their presentation entitled “Cutting Edge Pedagogy in the Educational Leadership Programs at High Point University” will showcase the use of co-teaching, field experiences, and hybrid classes to create unique and relevant learning experiences for candidates in both the Ed.D. and M.Ed. programs in Educational Leadership at High Point University. Dr. Davis and Dr. Bowser developed the methodologies through co-teaching in the Ed.D. program summer sessions over the past two years. 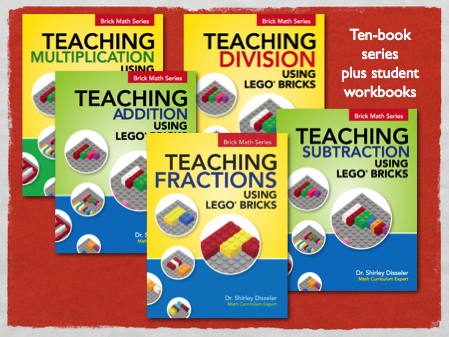 June 2016 – Dr. Shirley Disseler Associate Professor and Chair of Elementary and Middle Grades is the author of a new series designed to engage students in learning math with the LEGO Brick. The 10 book series includes workbooks and teacher guides and includes titles for both elementary and middle grades learners. The first three books in the series will be available for bulk and personal purchase by fall of 2016. February 2016 – Dr. James Davis, associate professor in the School of Education was just named Conference Director by NCMLE (North Carolina Middle Level Education). Dr. Davis has served as the assistant conference director for the last three years. With this new role, Dr. Davis will not only plan the conference, work to increase attendance, and also increase the level of presenter effectiveness, Dr. Davis will also have the chance to spotlight HPU, showcase the extraordinary things happen on our campus, and recruit students at the undergraduate and graduate level. February 2016 – Dr. James Davis, Associate Professor in the School of Education, was recently named to the National Forum to Accelerate Middle-Grades Reform. This is a national way to serve and advocate on behalf of young adolescents and middle-grades education all across the nation. The week of February 8-12, 2016, Dr. Davis is representing HPU in California at the annual meeting for the National Forum. The forum also supports teachers, administrators, and other school leaders. The mission of the forum is to unite key stakeholders to speak with a common voice to leverage research, policy, leadership, and replicable model practices to drive middle grades reform. The vision of the forum is as follows: In order to prepare students to be ready for college, career, and citizenship, the National Forum seeks to make every middle grades school academically excellent, responsive to the developmental needs and interests of young adolescents, and socially equitable. 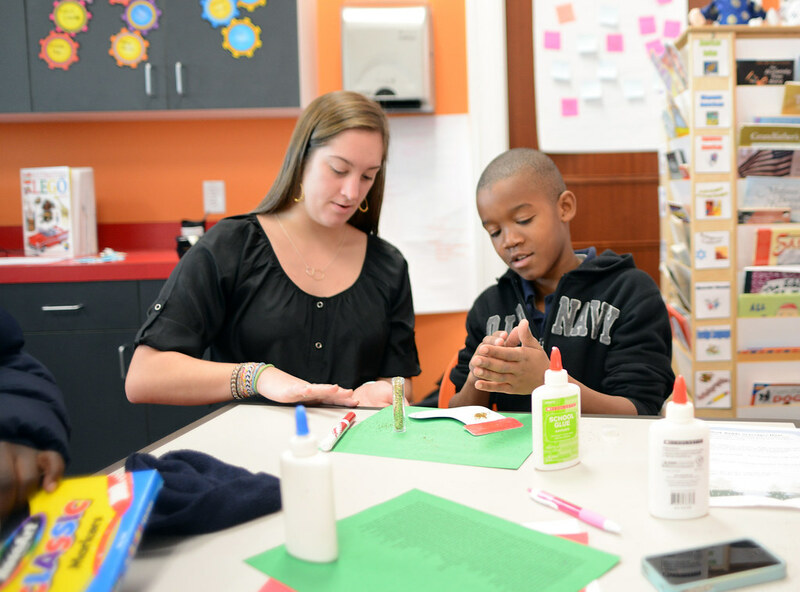 January 2016 -High Point University education and psychology faculty joined together to study the benefits of writing programs for local elementary students. They recently shared their results, which found positive psychological benefits for the children, at the Journal of Language and Literacy Education conference in Athens, Georgia. Dr. Leslie Cavendish and Dr. Sarah Vess, both assistant professors in the School of Education, worked with Dr. Kirsten Li-Barber, associate professor of psychology, to study an after-school writing program in fall 2015 for third- through fifth-graders at Montlieu Academy of Technology. The purpose of their research was to explore how the program would impact the children’s writing skills and sense of belonging in the community. In each session, HPU education majors enrolled in service-learning classes led 66 Montlieu students in writing and photography exercises. Their lessons, which included writing bio poems and taking photos of their favorite places, helped the students explore who they are and where they are from. “The qualitative data we collected demonstrated that the program had an impact on the students’ developing identities as writers and their social interactions,” says Cavendish. In some of the comments they collected, the children said they were inspired by writing about their passions and are interested in starting their own writing club. The research also allowed the three professors to each study an area of their own interest while working together to improve both writing instruction and the student experience. “Cross-discipline studies like these allow people with different backgrounds to come together in studying – and maybe solving – real-world issues,” Li-Barber says. Based on the positive results they shared at the conference, the professors are working on a manuscript of their research for publication. December 2015 – Dr. Shirley Disseler presented at the International Conference on Education in Hawaii. The topic of the discussion was “Bringing Creativity Back to the classroom with LEGO Education”. She shared High Point University’s journey and partnership with LEGO and strategies for teachers to engage students in learning. 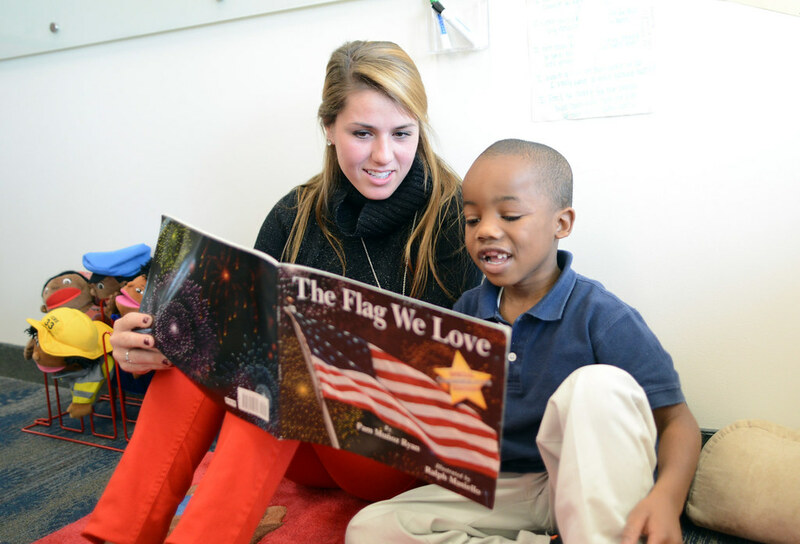 November 20, 2015 – CJ Greene Education Center held its annual Young Adult Reading Day, and the theme was “Heroes and Friends Come In All Shapes and Sizes”. Students and staff were able to enjoy Dr. Vess as well as other volunteers reading expressively. This event is held annually and has three main purposes: 1) to invite individuals from the community to CJ Green Education Center, 2) to nourish the skill of literacy and 3) to introduce students to literature that supports Guilford County Schools’ character trait education program. Click here for more information on CJ Greene Education Center. 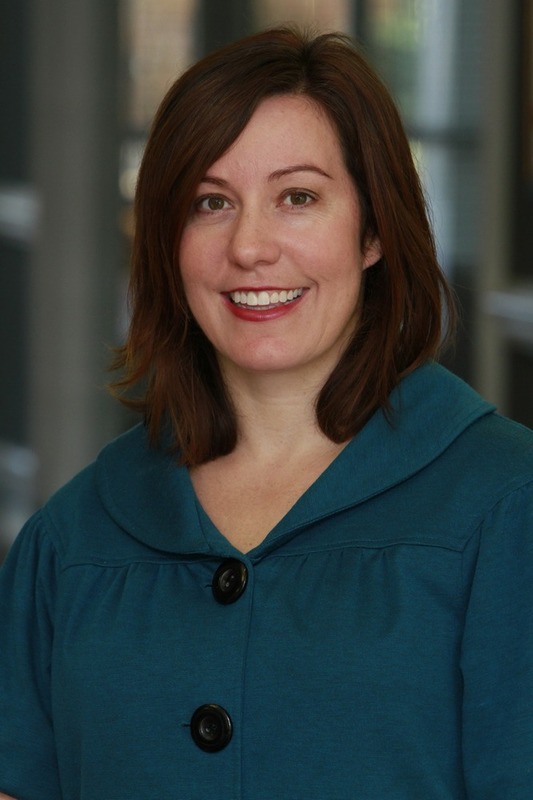 November 2015 – Dr. Sarah Vess, Assistant Professor and Chair of the Department of Specialized Curriculum, recently presented research at the 38th Annual National Conference of the Teacher Education Division (TED) of the Council for Exceptional Children (CEC) in Tempe, Arizona. TED is the special education teacher educator special interest group of CEC, the largest international professional organization dedicated to improving educational outcomes for individuals with exceptionalities, including students with disabilities and those identified as gifted. Dr. Vess’ presentation was entitled “The Evolution of A Special Education Teacher Preparation Program”. The presentation focused on initiatives the Department of Specialized Curriculum has undertaken in recent years to continue to offer a rigorous and relevant program to better prepare our teacher candidates for a career as an educator in the field of special education. 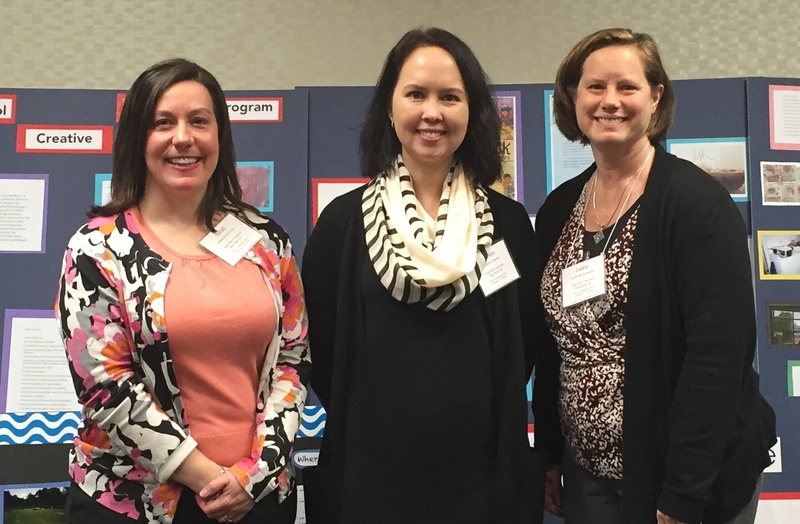 November 2015 – Dr. Disseler recently presented literacy in STEM at the North Carolina Science Conference (NSTA). 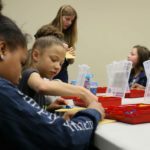 High Point University’s Come Build with Us Program using Literacy to teach STEM literature was highlighted in a session at the North Carolina Science Conference in Winston Salem, NC. This event brought in over 2500 educators from around the state to share in teaching science using literacy! November 2015 – On November 9, 2015, Rosie Tarara’s Nutrition and Healthy Living service learning class partnered with the Greater High Point Food Alliance’s Food Education team to host a food education night at the Carl Chavis YMCA. Tarara’s class has been working with the Carl Chavis daycare this semester teaching healthy living concepts such as food groups, importance of activity and eating healthy to the preschool children. The food education night allowed the HPU students the chance to also have contact with the parents. The event covered many areas such as how to read a food label, a cooking demonstration, healthy recipes and activities for the children. This event was a great way to get parents involved with the conversation on ways to incorporate healthy eating into one’s life. 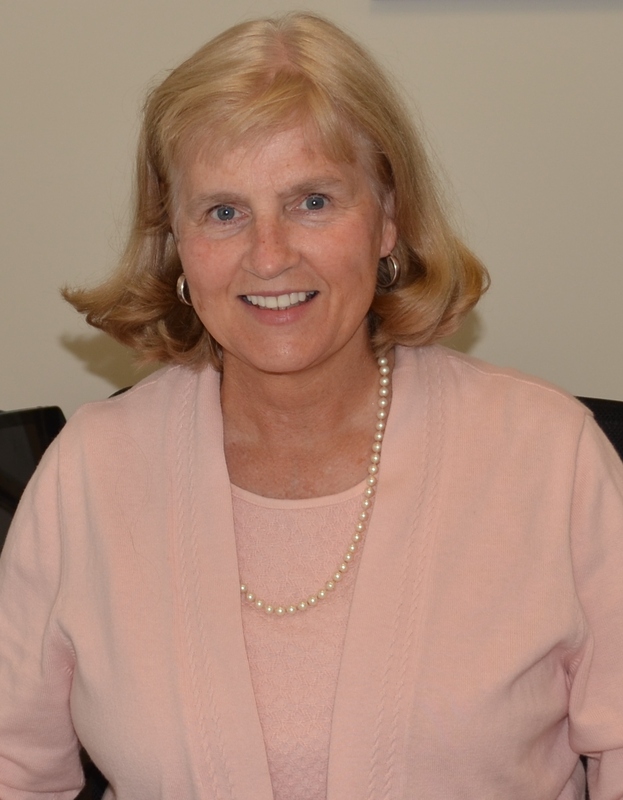 November 2015 – Dr. Shirley Disseler, Associate Professor and Chair of Elementary and Middle Grades Education has agreed to serve on the international board of Teachers2Teachers, a non-profit organization that supports professional development and etching around the world in undeveloped areas. She will serve as member of the grant writing team as well as a member of the teacher training board. Students in the STEM program at HPU will have opportunities to travel and work with teachers around the world as a result of this appointment. 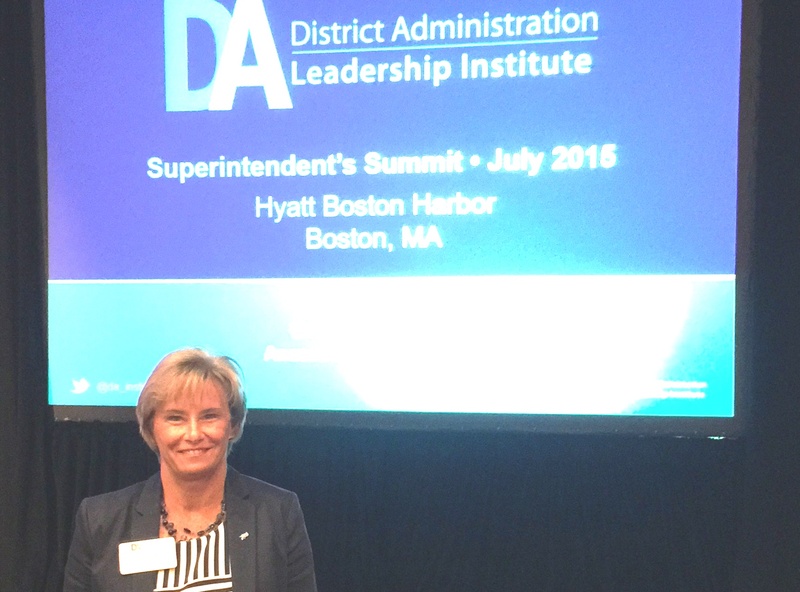 November 2015 – Over 500 School Superintendents from the western region of the US attended the District Association of Leaders Summit in Phoenix, AZ on Nov 6, 2015. Dr. Disseler delivered the keynote address entitled “It’s the Journey, Not the Destination that Matters”. October 9, 2015 – Dr. Don Martin recently served as a member of the selection committee for the 2016 NC Superintendent of the Year. The Committee consisted of four former NC Superintendents of the Year and four former NC School Board Members of the Year. The committee is hosted by the NC School Boards’ Association in conjunction with the North Carolina Association of School Administrators. 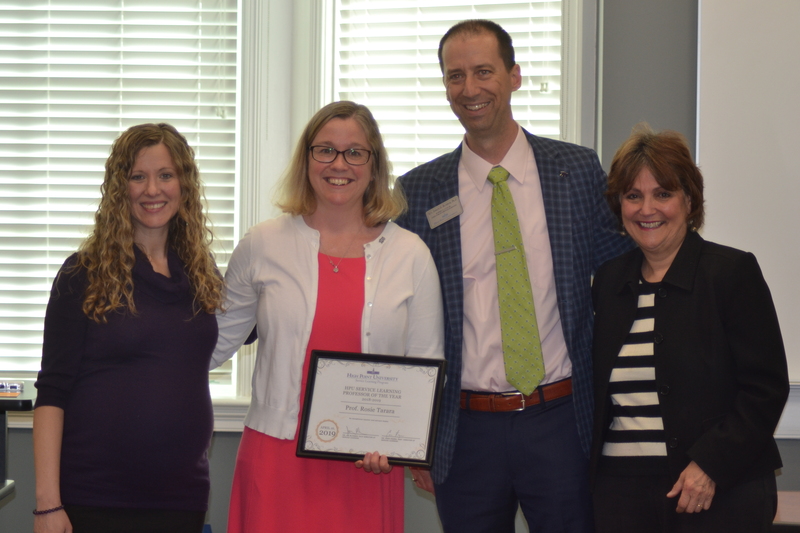 October 2015 – The Math Science Partnership grant awarded to the Thomasville City Schools and High Point University to develop a Teacher STEM Club has been funded for a second year. Dr. Jane Bowser is the Project Manager for the grant valued at nearly $150,000.00. The grant focuses on increasing content knowledge in science and math for elementary and middle grades teachers in Thomasville City Schools. As a part of the grant, TCS teachers participate in LEGO Teacher Academy training, special content and pedagogy sessions in STEM education, complete graduate STEM classes and will attend the NASA Space Camp for Educators. 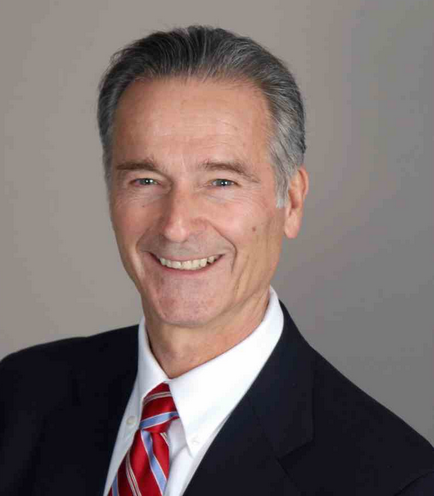 November 5, 2015 – Dr. Disseler as been selected to present at the Southwest United States District Leadership Summit in Phoenix, Arizona on November 5, 2015. Her presentation entitled, “It’s the Journey” will highlight her work done at High Point University with LEGO Systems for Learning and the role of creativity in learning Literacy and Stem. 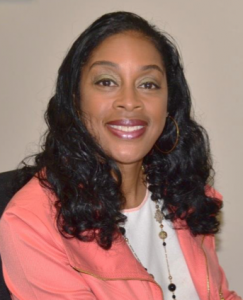 Dr. Tawannah G. Allen’s publication, “Organizational Capacity Building Designed to Embrace Minority-Serving Institutions,” was featured in the Fall 2015 issue of the University Council for Educational Administration (UCEA) Review. The aim of this article was to develop an understanding of how organizational diversity, similar to self-renewal, when played out on a systemic scale, can spark much-needed cultural transformation and reinvention. The thesis of this research was twofold: (1) professional organization should include minority-serving institutions (MSIs) in their mission, leadership, and change efforts. (2) Organizational diversity led by professional organizations could make educational culture more inclusive. This research will be presented at the 29th Annual UCEA Convention in November in San Diego, California. The link below provides access to the complete Fall 2015 UCEA Review. September 2015 – Dr. Leslie M. Cavendish, Assistant Professor, co-authored an article that has been published in Teacher Development: An international journal of Teachers’ Professional Development. The article, titled “Bonded relationships: Supporting pre-service teachers to develop confidence and competency as elementary literacy educators”, is based on an 18-month long study examining how relationships supported and constrained the student teachers. This research centers on the role relationships play for pre-service teachers as they build their professional identities. Dr. Cavendish explains, “This research explores the critical role multiple relationships play for education students as they begin that shift from “student” to “teacher”. It is exciting to consider the implications for our High Point University students and ways we can use the findings to further support them in their careers.” Using discourse analysis, the researchers examined the “bonded relationships” that can be a highly effective force to support pre-service teachers in developing their professional identities as knowledgeable and competent educators. The results indicate implications for teacher educators to create these spaces for mentor relationships for pre-service teachers. 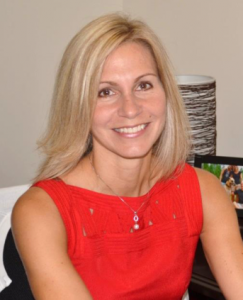 September 25, 2015 – Dr. Disseler, Associate Professor and Chair of the Elementary and Middle Grades Department, presented her work entitled, “Using Collaborative Business-University Partnerships to Grow Teachers” at NC-ACTE in Raleigh. This presentation highlighted the partnership between High Point University and LEGO Education Systems for Learning and the work being done in and around Guilford County as a result of this partnership. 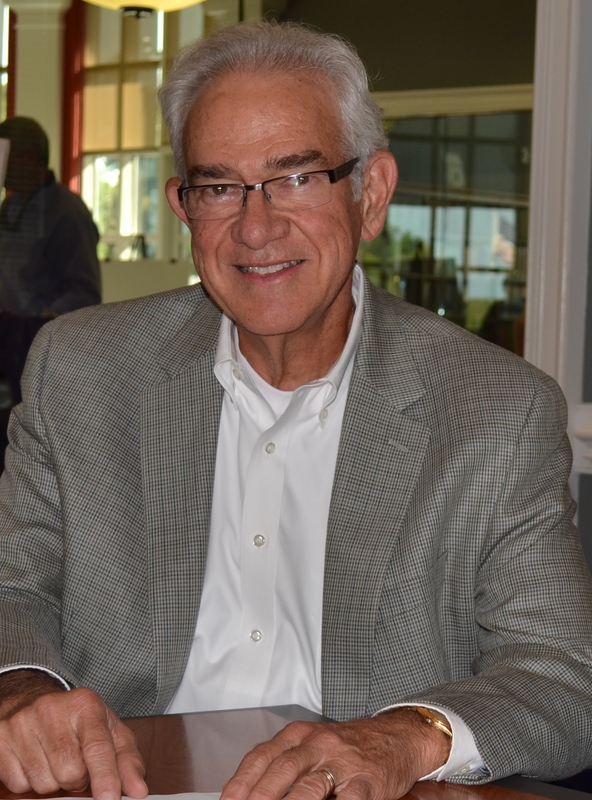 September 30, 2015 – Dr. Don Martin, School of Education Ed.D. Professor of Education, will present to the Cohort 3 of the Next Generation Superintendents’ Program. His topic will be School Board/ Superintendent Relationships. The Next Generation Superintendents’ program is a statewide training effort designed for all new school superintendents in North Carolina and is sponsored by the North Carolina Association of School Administrators and the North Carolina School Superintendents’ Association. This is the third cohort of new superintendents to participate. August 6, 2015 – Drs. Tawannah G. Allen and Barbara J. Mallory presented their research “Preparing Executive Leaders for the Changing Demographics of K-12 Public Education,” at the 2015 National Council of Professors of Educational Administration (NCPEA) Annual Conference, held in Arlington, VA. Dr. Mallory also served as invited guest panel discussant to offer a perspective on Ed.D Programs administering a scholarly practitioner dissertation. During conference proceedings, Dr. Allen was elected to serve on the Executive Board of NCPEA for a three-year term. Congratulations to Dr. Allen for this distinguished honor. August 2015 – Dr. James Davis’ proposal, “Seven Steps to Successful School Turn Around” has been accepted for presentation at the 2015 Annual Southeastern Regional Association of Teacher Educators (SRATE) Conference, Shaping the Future of Education: Creating Access, Opportunity and Equity. The conference will be held October 8-10, 2015 at the Jekyll Island Club Hotel, Jekyll Island, Georgia. July 2014 – Dr. James Davis’ concurrent session proposal, “7 Steps to Successful School Turn-Around”, has been selected for the 2015 National ASQ Quality Education Conference & Workshop. The event is scheduled for November 14-15, 2015 in Houston, Texas! 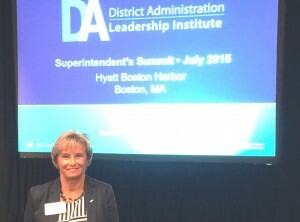 July 2014 – Dr. Shirley Disseler alongside Colin Gillespie (President of LEGO Education NA), Stephen Turnipseed (Executive Director LEGO Education Strategic Partnerships), and George Yaghmour (Director of Sales and Marketing, LEGO Education) presented in Boston at the District Administration Leadership Institute for Superintendents from the US and Canada. Disseler discussed the role of partnerships between business and schools in furthering STEM learning and creativity in the K-12 educational setting. 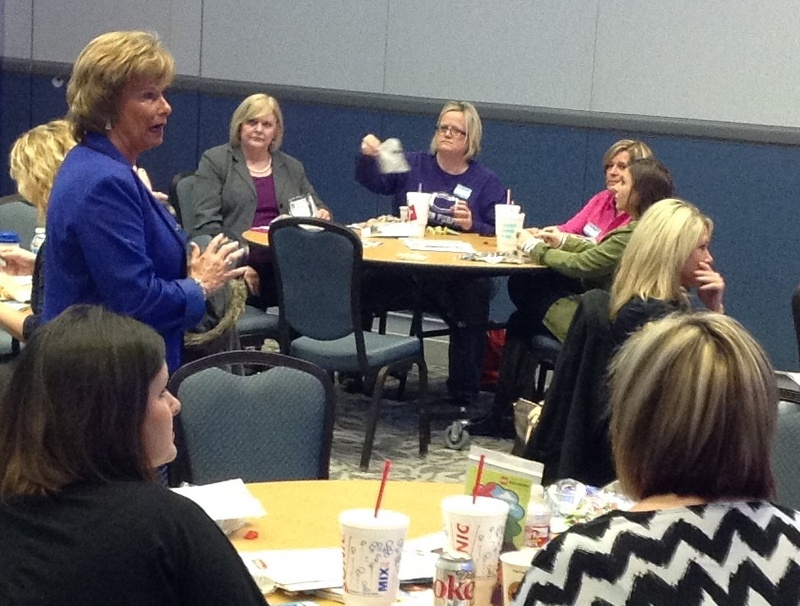 The institute was a four day event focused on strategies and needs of district leaders in education. The High Point University model for partnerships and creativity in teacher training was a focus for LEGO group. 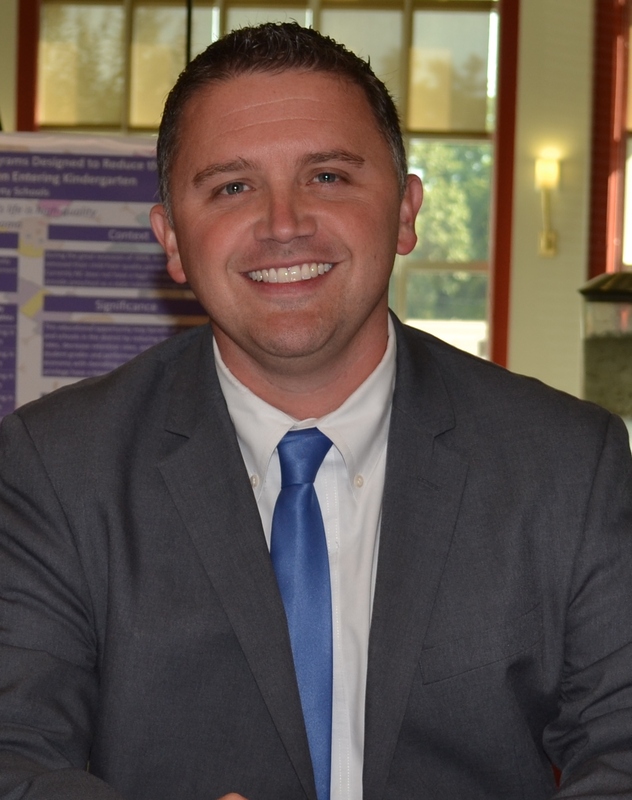 June 2015 – Dr. James Davis, Associate Professor in the School of Education at High Point University, had an article accepted for publication with AMLE on beginning teacher support and teacher retention. Dr. Davis was then sought out by AMLE to serve as an expert panelist on a Twitter event focused upon international dialogue around Recruiting, supporting, and retaining the most effective beginning teachers. Dr. Davis will begin tweeting on this event August 13. If you would like to follow his posts, his Twitter “handle” is JVDProfessor. 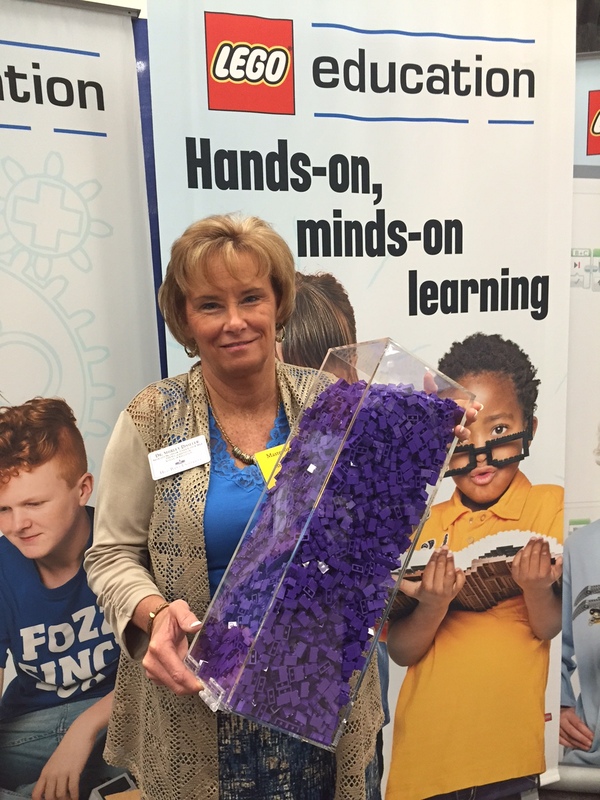 March 2015 – Dr. Shirley Disseler traveled to Dallas Texas March 2nd and 3rd to deliver the keynote address for the LEGO Education Principals Symposium. 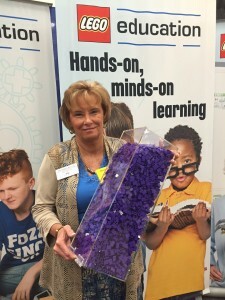 February 2015 – Dr. Shirley Disseler traveled to California on Feb 27th -28th to speak to elementary teachers, principals, and superintendents about her role in the development of the new LEGO Education math product , “MoreToMath”. She provided two workshops over the two days to demonstrate how the program was developed and is to be presented to first and second grade students. Disseler co-wrote the product with the elementary product team in Denmark last year. February 2015 – Dr. Disseler traveled to Billund, Denmark; Home of LEGO Education to collaborate with an international team in the development phase of a possible new programs for elementary students. Though specific information cannot be released at this time due to NDA restraints, Disseler says the new ideas will expand STEM opportunities for young learners. 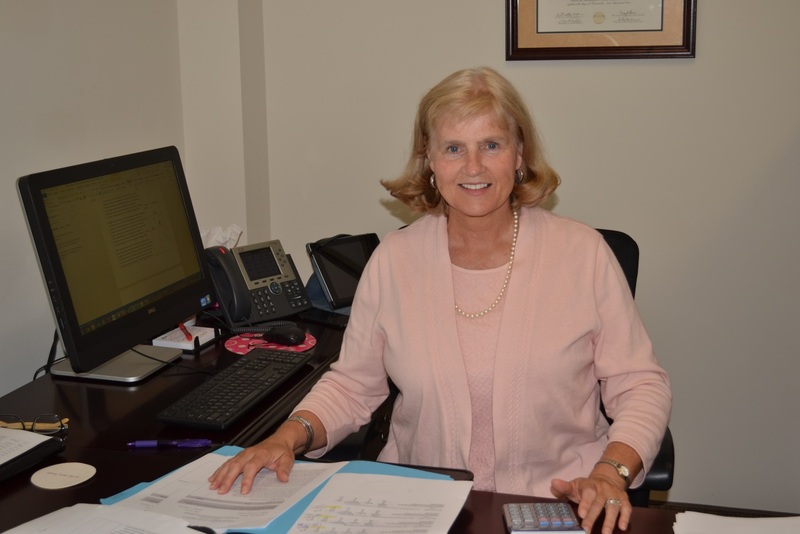 January 2015 – Barbara J. Mallory, Ed.D. was recently elected to serve as President-Elect of the North Carolina Professors of Educational Leadership (NCPEL) for 2015-2016. The North Carolina Professors of Educational Leadership (NCPEL) is an organization of diverse educational leadership programs in North Carolina’s public and private higher education institutions. We are unified in our commitment to improving education and educational leadership for the State of North Carolina. NCPEL believes that the preparation and development of strong educational leaders is essential to equitable and excellent schooling. “I’m excited to collaborate with colleagues to work on best practices and next practices of developing educational leaders in North Carolina”, stated Dr. Mallory. October 2014 – Barbara J. Mallory, Ed.D., was invited to be a panel discussant on the scholar-practitioner dissertation at the National Carnegie Project on the Educational Doctorate (CPED) Conference in St. Louis, Missouri. In a full convening session, “Revisiting Murphy and Archbald,” moderated by Dr. Jim McDowelle, the panel led a discussion on the body of research findings about reclaiming the educational doctorate as a scholar-practitioner degree and the benefits of dissertation problem-solving methods and presentations that are coherent with professional practice. Dissertations-in-Professional Practice consider action and applied research as appropriate approaches to enact CPED design concepts (e.g., laboratories of practice, signature pedagogy, inquiry as practice). Practitioner research, when relying on science of improvement methodology, has major implications for candidates enrolled in EdD Programs and associated partners in the field. • What do we have to work with? 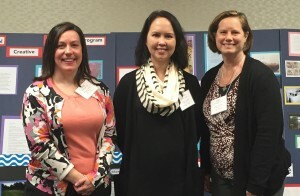 February 2015 – The NCAEE (NC Association of Elementary Educators) will host a Region 5 conference on April 14th at High Point University’s School of Education. NCAEE anticipates the biggest turnout in Region 5 history, with teachers and administrators registering from more than 16 different counties. With a dynamic keynote speaker, multiple breakout sessions, dinner and door prizes, the evening will be both meaningful and beneficial for all attendees. Breakout session topics include: arts education, writing, reading, data, communication, technology, STEM, service learning, time management, classroom management, poetry, fractions, student reflections, and much more! December 2014 – Dr. Cavendish worked collaboratively with a Dr. Anne Ticknor, a researcher from Eastern Carolina University, Dr. Cavendish presented a paper, “Dialogic construction of professional identities: Examining the language of one pre-service literacy teacher”. In this case study, they explored the ways pre-service teachers developed and demonstrated their professional identities through discourse analysis. Dr. Cavendish also chaired paper presentations at the conference and is also an active member of reading clinic study group. She collaborates with literacy researches and educators running reading clinics at universities across the country. Through yearly meetings at LRA, they collaborate on a field of study across institutions. February 2015 – Dr. Disseler will travel to Billund, Denmark; Home of LEGO Education in February to collaborate with an international team in the development phase of a possible new programs for elementary students. Though specific information can not be released at this time due to NDA restraints, Disseler says the new ideas will expand STEM opportunities for young learners. 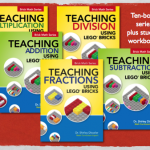 February 2015 – Dr. Disseler will travel to California the end of February to speak to Elementary teachers, principals, and superintendents about her role in the development of the new LEGO Education math product , “MoreToMath”. She will offer two workshops over the two days to demonstrate how the program is to be presented to first and second grade students. Disseler co-wrote the product with the elementary product team in Denmark last year. 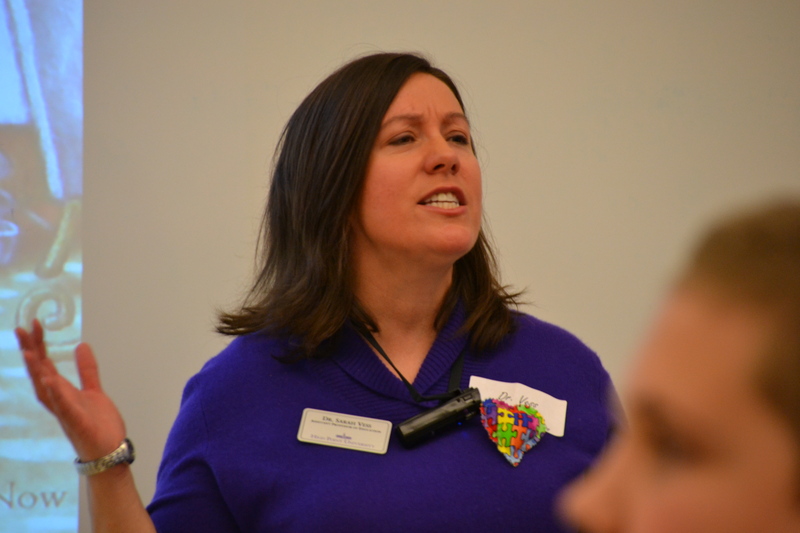 February 2015 – Dr. Disseler will travel to Dallas, TX to deliver the key note address for the LEGO Education Principals Symposium on March 3rd. Principals and Curriculum directors will hear Disseler discuss student engagement and motivation in math. She will also discuss changes in curriculum that will meet the challenges of the 21st century global learners in America. 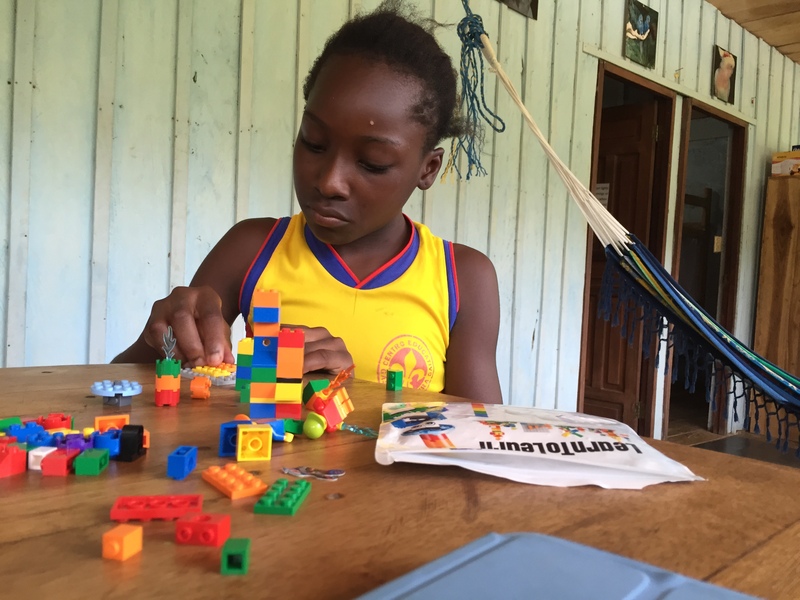 HPU School Of Education LEGO Initiative Goes Worldwide! 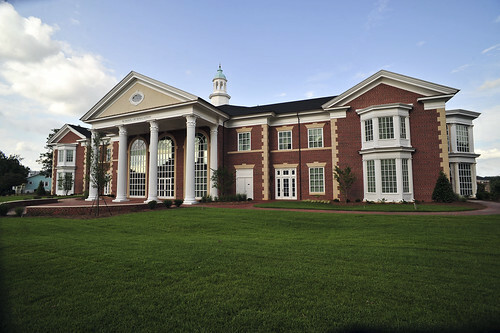 November 2014 – The School of Education at High Point University is making an effort to put learning in the hands of students who currently are without the tools and teaching strategies necessary for a good education. 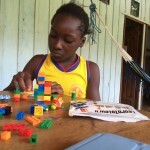 Dr. Disseler is working to partner with Dr. Chad McGlone of Teachers-2-Teachers International and the LEGO Education Group to help teachers in countries like South Africa, Guatemala, Brazil and Ecuador gain skills and strategies for engaging education. The hope is to eventually take High Point University pre-service teachers to work and mentor teachers in these parts of the world. 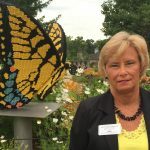 May 2014 – Dr. Shirley Disseler, Assistant Professor of Elementary Education and Lego Education Specialist for North America, has been selected as the math expert to begin work with LEGO Education Denmark on new future product. She recently traveled to Billund, Denmark to meet with brick designers and curriculum leaders in the company to share ideas and work toward the development of a co-creation project idea. While in Denmark, Disseler shared with the company the Come Build with Us! Program at High Point University and discussed how we are furthering creativity in the classroom through the program’s implementation. 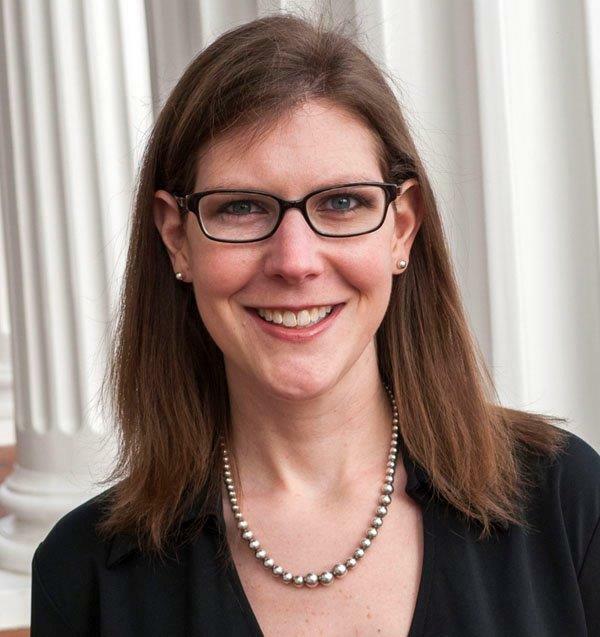 November 2014 – Dr. Heidi Summey, Assistant Professor in the School of Education, presented at the 64th Conference on Exceptional Children held November 3-5, 2014 at the Koury Convention Center in Greensboro, NC. The conference theme was Working Together to Improve Student Success, which focused on ways to collaborate. The presentation was entitled “Using Curriculum Based Measurement (CBM) to Guide Writing Instruction”. September 2014 – Dr. Sarah F. Vess, Chair of the Department of Specialized Curriculum, is serving as the faculty member-in-residence this semester for High Point University students participating in the HPU exchange program with Oxford Brookes University in Oxford, England and the University of Winchester in Winchester, England. Dr. Vess is working with 17 HPU students while in England. Five of the students studying at Oxford Brookes from HPU are education majors and are working with Dr. Vess on undergraduate comparative education research which is being submitted for presentation at an upcoming regional research conference. 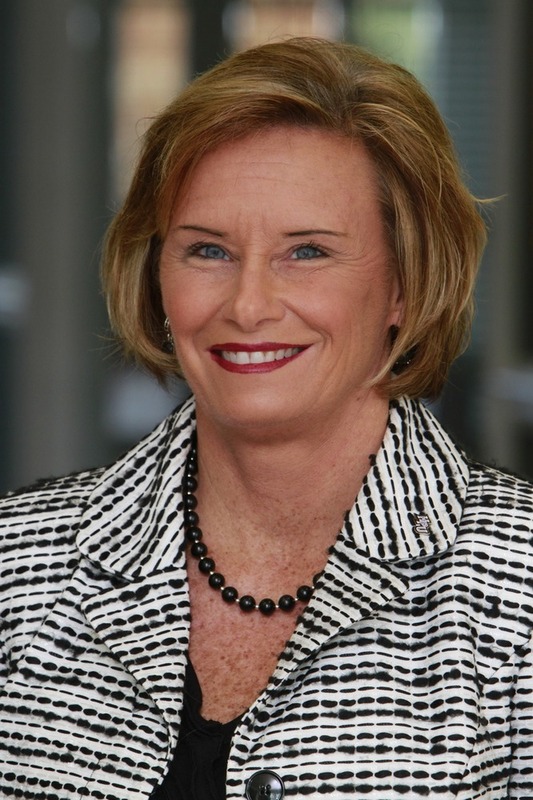 June 2014 – Dr. Barbara Leonard has been reappointed by the Davidson County Commissioners to a seventh term 4 year term as a Trustee at Davidson County Community College. She currently serves as Chair of the Student Outcomes Committee for the Board of Trustees. October 2014 – Dr. Linville and Mrs. Albert partnered with Florence Elementary to host a Family Literacy Night in October. 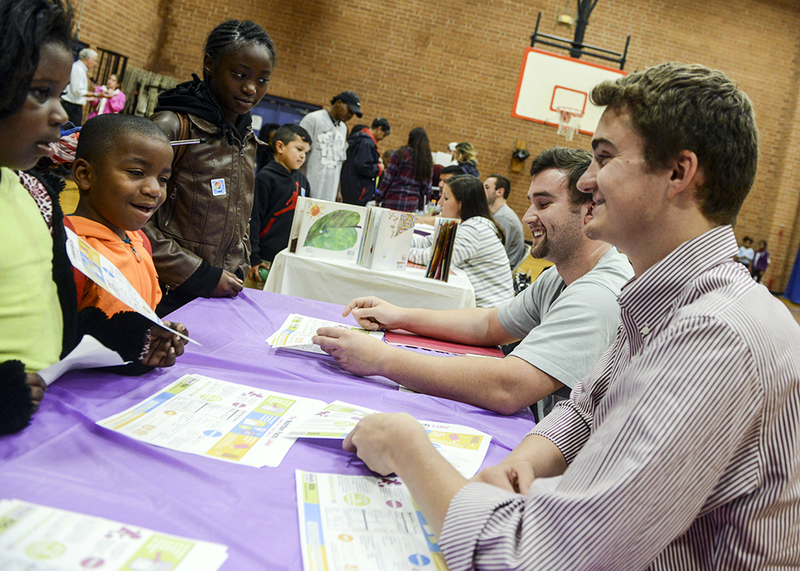 The High Point University elementary teacher candidates planned and executed many and varied hands-on, minds-on literacy station activities that allowed children and their families to experience the joy of reading and writing. By providing engaging ideas that parents can recreate at home, HPU pre-service teachers played an active role in promoting the school-home connection and supporting the literacy development of elementary children. Dr. Debbie Linville partnered with BookMarks, a nonprofit organization that strives to provide literary experiences for individuals of all ages (Linville is a BookMarks volunteer), through the Authors in Schools initiative to bring NC children/young adult author, Megan Bryant, to the campus of High Point University. 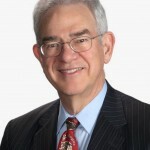 Bryant is the author of over 100 book titles. The HPU Elementary Education majors in the senior methods process writing course will join together to meet Bryant, listen to several readings, and engage in conversations about her work and the writing process. Across the fall semester, Dr. Linville’s elementary teacher candidates partnered with third graders at the Arts Based School in an email Pen Pal program to afford the HPU pre-service teachers the opportunity to see firsthand the importance of authenticity in the writer’s workshop in terms of purpose, content, and audience, as well as, their role in promoting engagement and growth in children’s writing development. Dr. Linville and third grade teacher, Ms. Leni Fragakis (a HPU M.Ed. Elementary, literacy concentration graduate) will present data gleaned from the semester-long research project in publication and presentation formats in an effort to encourage P-12 educators to seek authentic, collaborative writing endeavors as an avenue to promote writing proficiency. Dr. Shirley Disseler had two books published: Strategies and Activities for Common Core Grades 3-5 (Published May 2014) and one article published: A Parent’s Guide to Common Core: National PTA Magazine (September 2014). She also had a live NBC News interview: Common Core and why we need it! ( August 12th, 2014). 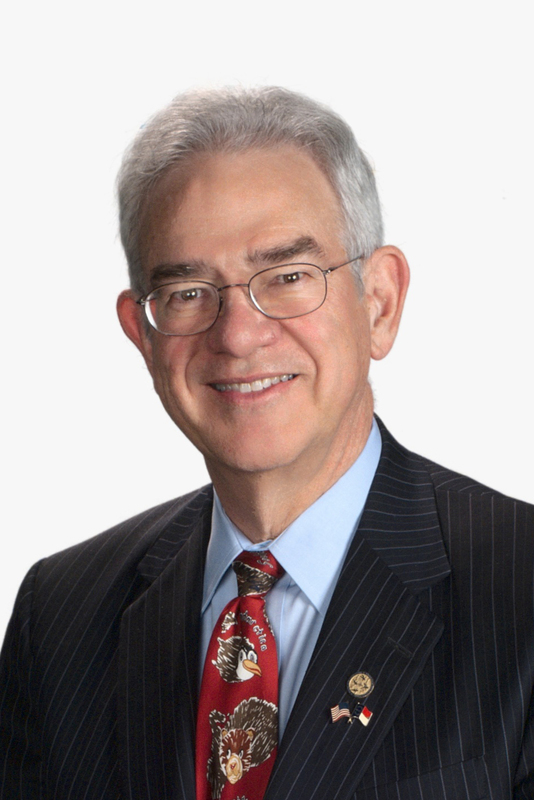 August 2014 – Dr. James Davis joined High Point University in the summer of 2014. He currently serves in the School of Education, working as an Associate Professor in the Elementary, Middle Grades, and Educational Leadership departments. Dr. Davis was recently named as the 2014 Conference Director for North Carolina Middle Level Education (NCMLE). July 2014 – Dr. Davis had two recent publications, “7 Tips from the 7 Best: Seven Pieces of Advice from the Seven Highest-Performing Teachers” and “What Five New Teachers Report as Strategies to their Success and Sanity.” The submissions were accepted by AMLE (Association of Middle Level Education) and NCAEE (North Carolina Association of Elementary Educators). During the past few months at High Point University, Dr. Davis had proposals accepted at the state, regional, and international level. Proposals were accepted by the Southeastern Regional Association of Teacher Educators, the NC Association of School Administrators, NCAEE, the Southeastern Association of Educational Studies, and the National Forum on Dropout Prevention for Native and Tribal Communities. Presentation topics range from School Turnaround and Teacher Effectiveness to Higher-Achieving Classrooms and Public School / Community Collaboration. Alyssa Springer (Elementary Education) presented at the National Conference of Undergraduate Research (NCUR) held at the University of Kentucky in April. She was accompanied by her mentor, Dr. Leslie M. Cavendish (School of Education). Alyssa’s paper, titled, “A Globalized Education: A Comparative Study of the International Baccalaureate and Common Core State Standards Systems” analyzed curricular programs of the United States and international schools with an emphasis on elementary reading standards. Her session was well-attended by professors, graduate students and undergraduate students from across the nation. Dr. Cavendish also assisted Alyssa in getting her research published in Innovations: Journal of Creative and Scholarly Works. Dr. Leslie M. Cavendish created and implemented the first HPU Summer Reading Institute in June/July of 2014 through a 7,000 grant and a partnership with Oak Hill Elementary School. The goal was make a positive impact on the rising third grade students who are at risk of failing to achieve third grade level reading proficiency. Dr. Cavendish met the needs of the High Point Community while also offering School of Education graduate students the unique opportunity to develop and implement a summer reading institute. Doctoral candidates at High Pont University participated in the institute through developing program assessments that will build improvements for future institutes. Rising third graders attended the institute for two hours daily, for five weeks, receiving literacy tutoring as well as participating in inquiry-based learning activities. The program culminated with a well-attended parent night, allowing parents to talk with their child’s summer reading tutor and learn about ways they can continue to support their child as a reader. Dr. Cavendish continued sharing other aspects of her research on international teachers and schools at a presentation at the American Education Research Association in Philadelphia in April of 2014. Her presentation focused on the many cultural worlds interacting within an international teacher’s classroom. Being culturally responsive in an international classroom moves beyond the student’s background and experiences, including but not limited to the cultural worlds of the students, the teacher, the host country and the school. Modeling integration of technology within her own teaching, Dr. Leslie M. Cavendish presented at the North Carolina Association of Elementary Educators’ Region V conference in April of 2014. Tech Tools and Resources for Literacy Teachers reflected her work in collaboration with a colleague from East Carolina University. Together they shared with local teachers ways they can integrate technology for their own professional development, for their teaching and ways students can use technology as readers and writers. Dr. Leslie M. Cavendish’s research focusing on culturally responsive teachers was published with the International Reading Association. Her article, “Living globally-Teaching responsively: Stories from a literacy educator in China” was highlighted in the newly developed peer-reviewed e-Journal of Balanced Reading Instruction. The Spring 2014 themed issue focused on connecting balanced literacy and culturally relevant pedagogy. Her research in this article examines a case-study of how an elementary educator in an international school grapples cultural considerations in her multi-lingual, multinational classroom. Using narrative research methodologies, she examines how this teacher strives to incorporate student’s home literacies and funds of knowledge into classroom practices. Results identify a unique lens as the teacher becomes a “cultural broker” to be culturally responsive in her first grade classroom. Modeling integration of technology within her own teaching, Dr. Cavendish presented at the North Carolina Association of Elementary Educators’ Region V conference in April of 2014. Tech Tools and Resources for Literacy Teachers reflected her work in collaboration with a colleague from East Carolina University. Together they shared with local teachers ways they can integrate technology for their own professional development, for their teaching and ways students can use technology as readers and writers. Dr. Debbie Linville co-authored an instructional product with two former graduate students that was recently published by the International Reading Association as part of the new Bridges series. Every published unit in this series is a researcher-teacher collaborative endeavor designed to bridge research and practice for high engagement and rich student learning. The unit is entitled Exploring the Natural Resources in Our Community and targets grades K-2. Dr. Linville and her team received the “Exemplary Unit” award from the IRA Literacy Research Panel and were invited to present at the International Reading Association conference in New Orleans, May 2014. In addition, the purposeful integration of technology gained the attention of the reviewers which resulted in a second invitation to present at the IRA Digital Classroom in New Orleans. Dr. Linville and her colleagues are in the process of developing another instructional product for publication consideration by the IRA Literacy Research Panel. Dr. Jane Bowser was a co-presenter for an ISTE Webinar highlighting the use of iPads in the School of Education at High Point University. The webinar, entitled Mobile Learning for Teacher Preparation, is a part of ISTE’s Professional Learning Series and will be available to ISTE members throughout the world. 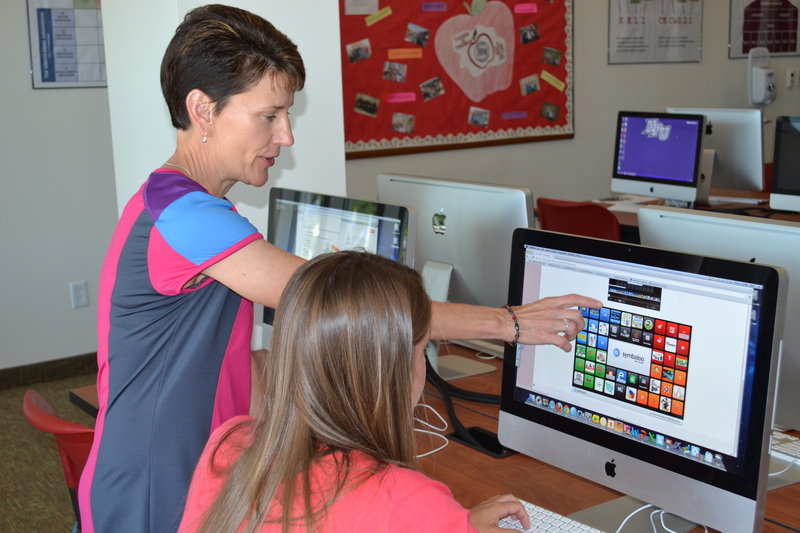 HPU’s School of Education was selected for its innovative use of Instructional Technology, specifically iPads, in the teacher preparation curriculum. Michelle Nixon, adjunct professor in the School of Education, published an article entitled Speaking Out: Changing the Poverty to Prison Paradigm. NAESP os the National Association of Elementary School Principals and the article appears in the March/April 2014 edition. Dr. Disseler has been chosen to serve as the LES (Lego Edu Specialist) for the math development team in Denmark. She will edit and help develop math products around Common Core for K-6 classrooms in the US. Lego Education has awarded a $10,000 video/media grant to the STEM M.Ed. 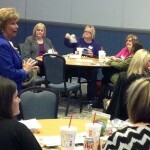 Program in Elementary Education under the direction of Dr. Shirley Disseler. The School of Education will collaborate with the School of Communication to create a video showcasing the pre-service teacher education program at HPU. The video will be centered on the development of 21st Century Teachers, School and Community Partnerships and the School of Education’s efforts to provide outreach through inservice opportunities for K-6 teachers. Dr. Debbie Linville planned and executed a celebratory Book Buddies event on November 11, 2013 on the campus of High Point University. HPU buses delivered 54 elementary children to the Wanek Center to meet their High Point University Book Buddies and enjoy read aloud performances in the Cinema Extraordinaire by the partner school principals, Mr. Teddy Wohlgemuth and Mr. Ged O’Donnell. Superintendent “Mo” Green recognized the Book Buddy program as a successful partnership between High Point University and Guilford County Schools at the Fifth Annual State of Our Schools Address on January 23, 2014. 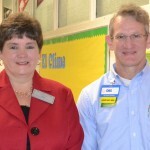 Dr. Linville has written a blog article entitled “4 Terrific Classroom Library Makeover Tips”. Sharing information gleaned from professional literature, 30 years of teaching, and her work facilitating makeovers in gradate candidates’ classrooms. Dr. Linville’s passion is literacy and her ongoing personal and professional goal is twofold: to promote the proficient, joyful, reading and writing lives of children and to optimally support teachers as they facilitate that journey. In December of 2013, Dr. Leslie M. Cavendish, assistant professor, presented a paper at the National Literacy Association conference in Dallas, Texas. Her presentation, Bonded Relationships: Learning to be Agentic Literacy Teachers reflected work in collaboration with a colleague from East Carolina University. This research explored the role relationships play for preservice teachers in constructing professional identities as knowledgeable literacy teachers to become agents of change. Her work included implications for teacher educators and education programs within colleges and universities. Dr. Leslie M. Cavendish was awarded a 7,000 grant from the Molly Millis-Hedgecock Foundation to develop a Summer Reading Institute in June/July of 2014. The goal is make a positive impact on the rising third grade students who are at risk of failing to achieve third grade level reading proficiency. Twenty-five rising third graders will be attending the institute for two hours daily, for five weeks, getting individualized literacy tutoring as well as participating in inquiry-based learning activities. A semester long project completed by Dr. Bowser’s STEM Technology Class has become the January Classroom Spotlight for iCreate to Educate. The project was a part of the ongoing partnership with Montlieu Academy of Technology and featured the use of Lego StoryStarters and the myCreate iPad App. See the full story below. This month our classroom spotlight is Dr. Jane Bowser from High Point University in High Point, North Carolina. Dr. Bowser’s education students completed a very successful first project using myCreate for iPad and Lego StoryStarters with students from a local elementary school. Click here to see an example from one of the university students in the class, Callie Moore. Dr. Vess co-authored a chapter in the newly released Asperger Syndrome, 2nd edition: Assessing and Treating High-Functioning Autism Spectrum Disorders edited by McPartland, Klin, and Volknar (2014). Her chapter, Evidence-Based Assessments of Asperger Syndrome: A Selective Review of Screening and Diagnostic Instruments, was co-written with Dr. Campbell of University of Kentucky and Dr. James who is a clinician in Spokane, Washington. 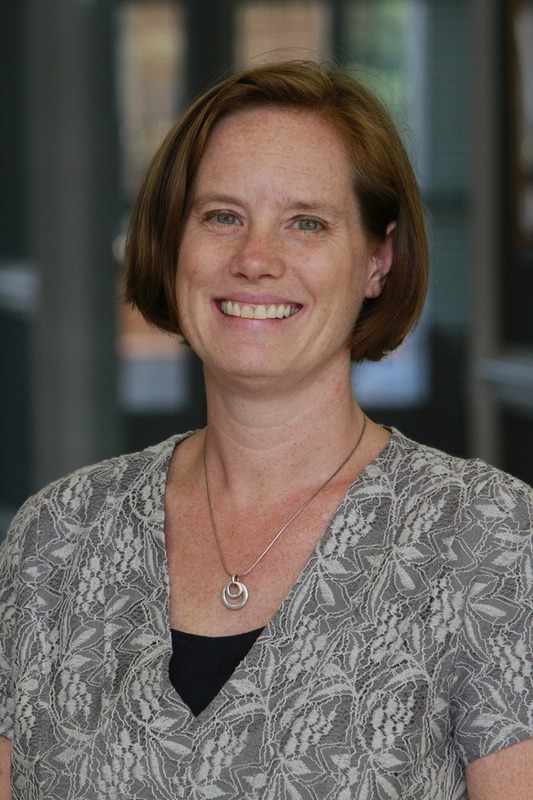 Dr. Sarah Vess presented a research paper entitled Preparing Educators to Serve Integral Roles in Response to Intervention at the North Carolina Department of Public Instruction 63rd Conference on Exceptional Children in Greensboro, NC in November. Dr. Vess collaborated with Susan Laney with Curriculum and Instruction in Guilford County Schools on the presentation. Dr. Mallory has had two papers accepted for publication in Fall 2013 including Jazzing up the Leadership Repertoire: Findings from Action Research. The paper is based on a case study of leadership at the school level. The editors of the peer-reviewed publication describe the monograph as a study that “describes a setting which depicts an ensemble of people, with differing roles, creating a new way of working together through a distributed leadership model. The second paper, which Dr. Mallory co-authored with Drs. 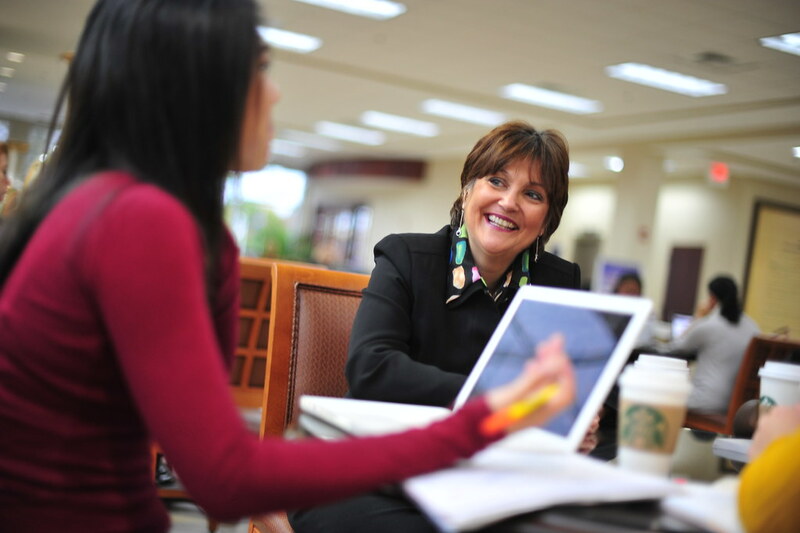 Teri Melton and Cindi Chance, The Relationship of Leadership and Student Achievement across Societal Cultures, is based on a study of leadership and impact on student achievement from a global perspective. School effectiveness is often defined by student performance as measured by test scores. Dr. Barbara Mallory presented at the 67th Annual Conference of the National Council for Professors of Educational Administration in August, 2013. The presentation was titled University Perspectives of the New Dissertation in Practice and featured a variety of dissertation models for scholar practitioners seeking the Ed.D. in educational leadership. Dr. Mallory and Dr. Farrington presented a paper at the November, 2013, University Council for Educational Administration Annual Conference in Indianapolis, Indiana. The title of the paper was Developing a New Doctorate in Educational Leadership at High Point University. The HPU doctoral program aligns with key priorities of the Carnegie Project on the Education Doctorate. Dr. Mallory and Dr. Farrington also presented a paper at the November, 2013, University Council for Educational Administration Annual Conference in Indianapolis, Indiana. The title of the paper was Developing a New Doctorate in Educational Leadership at High Point University. This presentation focused on the work being done at High Point University to create an innovative doctoral experience for educational leaders. The HPU doctoral program aligns with key priorities of the Carnegie Project on the Education Doctorate. High Point University was recognized, along with East Carolina University and Western Carolina University, for creating a network improvement community in the conference session titled: Ecologies of Innovation: Collaboration Across Critical Communities in New Doctoral Programs in North Carolina. State Superintendent June Atkinson appointed Dr. Martin to represent NC on the Board of Directors of the Regional Education Laboratory of the Southeast (REL Southeast). REL Southeast conducts educational research projects in six southeastern states – NC, SC, GA. FL, AL, and MS.